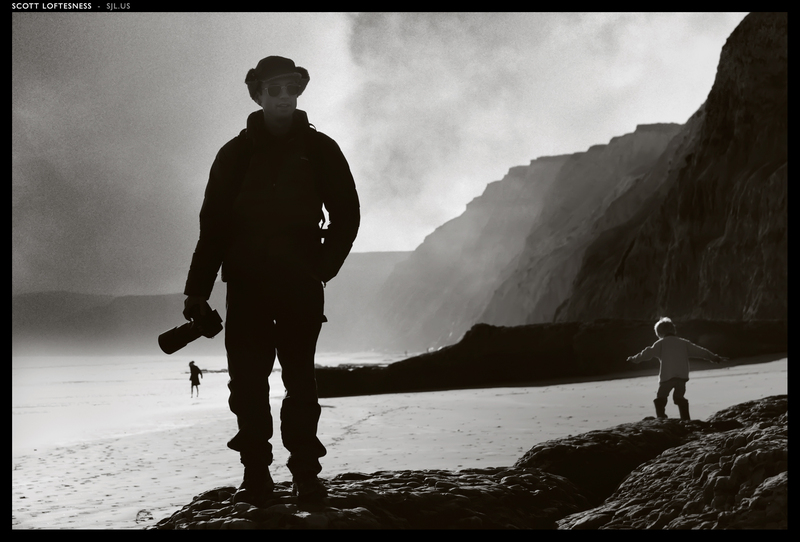 This is the second version of this image of a photographer standing on a rock above Drake’s Beach that I’ve processed. The first was in color – and this version was processed as a monochrome. In addition, a cloudy texture was added to add some drama to the skies – and a final tweak to change the blacks to warm black. Beautiful composition in this image.